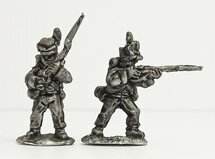 On the 200th anniversary of the Battle of Waterloo, and after some unfortunate delays at our end, we're very happy to release Part One of our new 10mm 1812-1815 Napoleonic British! This first batch covers all of the foot, command and cavalry codes, and we'll be following this up with the artillery, limbers and personalities in a few weeks time. (There was a slight issue with the artillery carriages, so we're just working on those.) 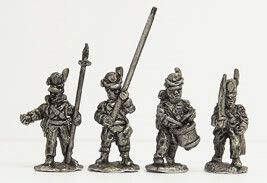 We'll also be putting together one of our usual army packs once the range is complete.